Finding the right boxing gym to train at is just as important as finding the right pair of boxing gloves. Perhaps you’re a newbie boxer and you’re not sure where to start? Or you’re an experienced boxer looking for a new professional boxing gym because you’ve recently moved house? Whatever the reason for your search, our guide to finding a good boxing gym should help you make the right decision. What makes a good boxing gym? A good boxing gym should definitely have a supportive and encouraging atmosphere which welcomes boxers of all levels. Your trainer should be focused on improving your skills and techniques and helping to improve your confidence. They should also tailor your training programme to your physical abilities. A boxing gym should be more than just a gym. It should feel like you’re part of a community. It’s this sense of belonging that we think makes boxing so special. 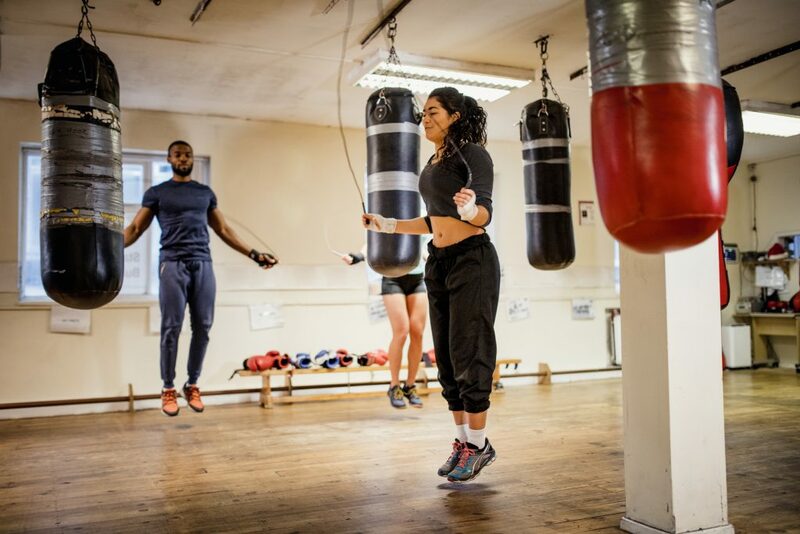 A good boxing gym doesn’t necessarily need to have all the latest boxing equipment but you should get a sense that there’s a supportive and healthy atmosphere and that people enjoy going there. If the gym is busy, that’s always a good sign. When you speak to the trainer, they should be interested in you personally because a good boxing gym would adapt training to your needs. Overall, a well established gym often has a good community spirit and would feel very welcoming. What makes a bad boxing gym? Before you begin searching for your local boxing gyms, it’s important to understand how to identify a bad one. It’s easy to spot a bad boxing gym if they seem more focused on winning fights rather than developing skills. Furthermore, if the gym is full of people who have never fought before but are being encouraged to have a bout for charity, it’s probably one to avoid. Often these gyms are more concerned with putting on shows than with a person enjoying the training. 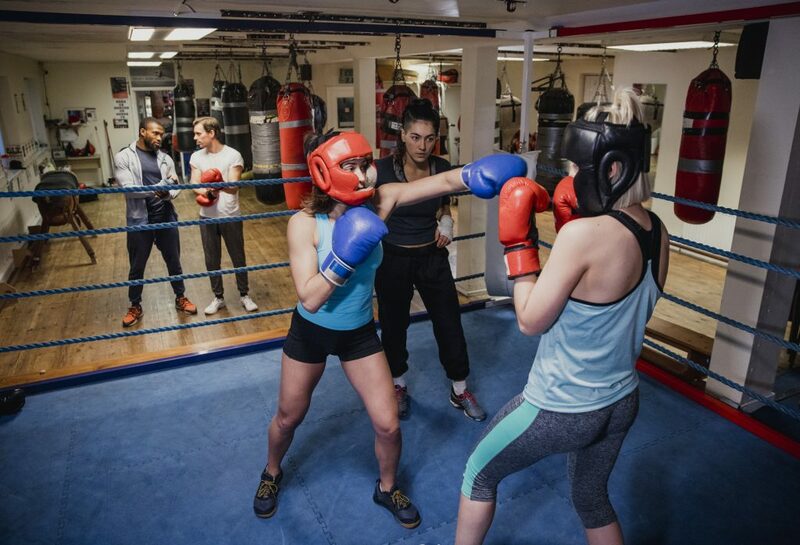 A bad boxing gym would also not be too bothered about focusing on each individual’s training needs and the environment would feel more scary than supportive. These types of gyms will mainly focus on group training sessions. This is a great choice if your main goals are to burn calories and improve your fitness levels. The focus will be less on developing boxing skills and more on getting a really great workout. Training sessions might include things like jump roping, bag work and shadow boxing rather than sparring sessions. These types of gyms come in various sizes and all should take on new fighters. 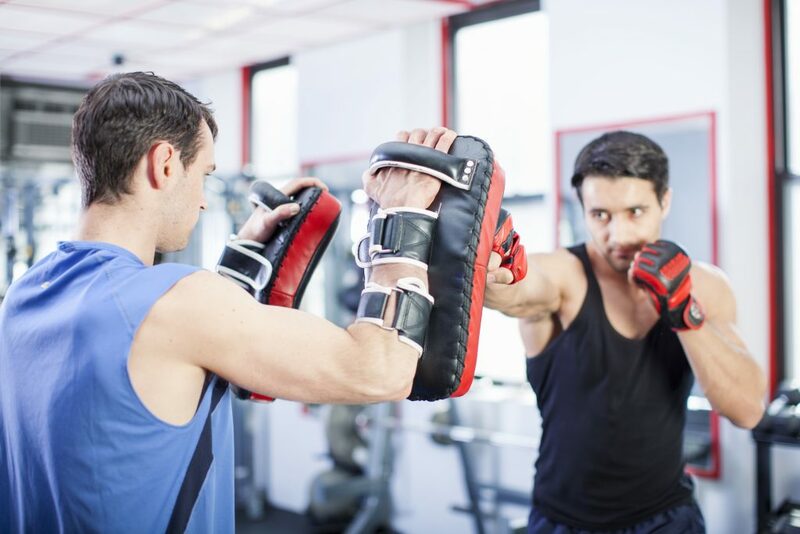 Although the main goal for these types of gyms is to get the boxer ready to fight, they also have a strong focus on endurance and fitness training. It’s likely that there will be more emphasis on one to one sessions with a coach and that sparring will be part of your training programme. MMA gyms are different to traditional boxing gyms because the style of mixed martial arts is used. Some of the technical skills are still the same, such as punching and footwork, but this style of boxing also incorporates kicks. The style of training will vary depending on the trainer’s own boxing background but it will be focused on training for fighting as well as training to improve fitness. How can I find good boxing gyms near me? It’s worth checking for posters and flyers in your local area to see if anything is advertised and to ask around in the community as well. Local councils and authorities should also have a list of gyms in the area. Google is also your best friend when searching for a boxing gym. Type in ‘boxing gyms near me’ and you should be able to view the closest boxing gyms to your location on a map. The next step is to make a note of about five different boxing gyms that are within the radius you’re willing to travel to. Jot down their contact details and then make plans to go and visit each one in turn. You shouldn’t feel worried about going to visit more than one; it’s important to find the right gym for you. We would recommend calling ahead and setting up a time to visit. Check out each gym and try to organise to speak to a trainer at each one too. That way, you can get a sense of whether you think it’s a gym you would enjoy going to. Tell them about your fitness goals and ask them what sort of training programme they could offer you, what the costs are, how long the sessions would be and what days and times are available. You can also get a sense of whether they seem genuinely interested in your specific training needs. Make sure you also ask if the instructors are qualified and if they are insured, and request evidence. You could also try to arrange to watch a training session so you can see what their training style and coaching methods are really like. Another thing to look for during your boxing gym visits is for signs of quality. For example, find out if there are members or licence holders of amateur boxing or professional boxing governing bodies within the gym. How big should the training group be? 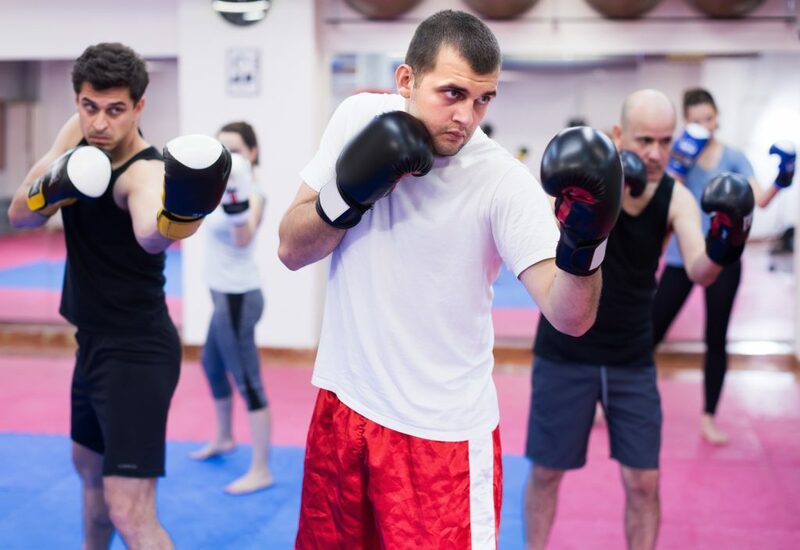 Although a large group can be a sign of a good boxing gym, it could also be a hindrance to beginners. If there are too many people in the group, the boxing instructor is going to find it more difficult to keep an eye on everyone’s techniques. That means you might learn how to do a boxing move slightly wrong and if this is not picked up on it could end up causing you injuries when you take part in a boxing match. What sort of training equipment would a good boxing gym have? Many good trainers will let you have a week or two free to see if you like it and the opportunity to have paid 1-2-1 sessions. Make sure you ask about these possibilities when you visit each gym. 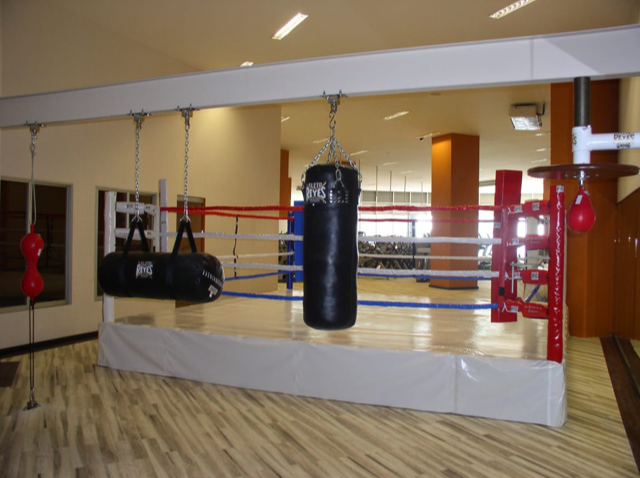 Now that you understand the qualities of a good boxing gym, it’s time to start searching for your local boxing gyms. This list of UK boxing gyms will start you off but remember to do your own online search and ask around your local area too. 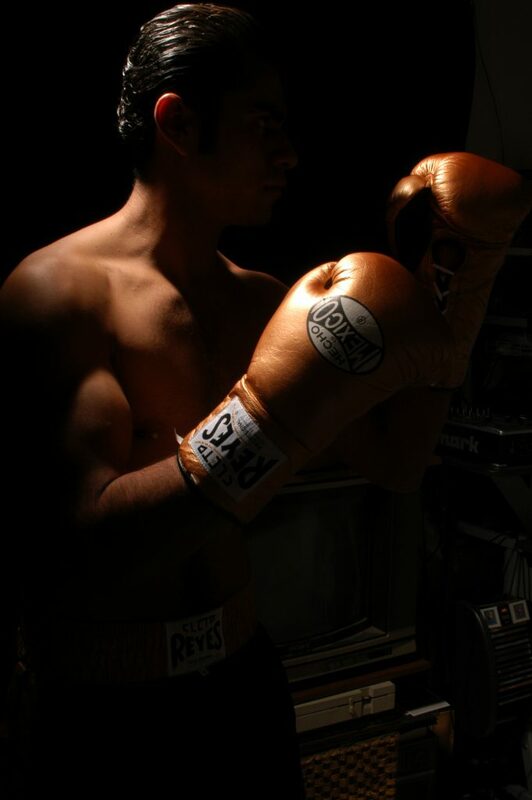 We wish you luck with finding the right boxing gym for you, one where you feel comfortable and confident. It’s important to find a supportive and encouraging boxing community where you can develop your skills and fitness levels.